The Chiricahua Mountains in Arizona illustrate the vast areas of western forest (especially Mexican Pine-oak forest) on U.S. Forest Service land. Public agencies, and the lands they manage and protect, have long played a critical role in bird conservation. About 89% of Canada’s lands are public, with national, provincial and territorial parks, National Wildlife Areas, and Migratory Bird Sanctuaries offering long-term protection for Canada’s landbirds and other wildlife. In the United States, more than 850 million acres of land are publicly owned, including lands managed by the Bureau of Land Management, U.S. Forest Service, State agencies, U.S. Fish and Wildlife Service, military installations, and the National Park Service. 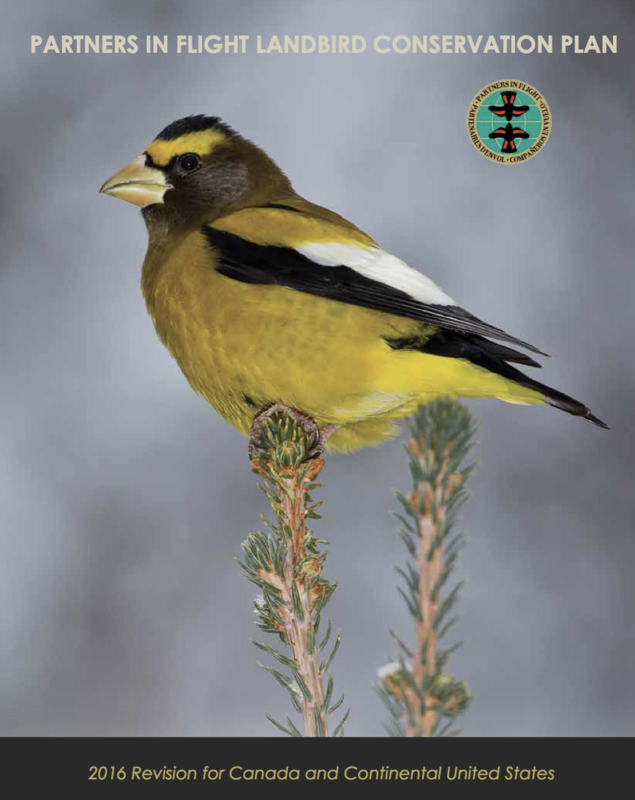 The North American Bird Conservation Initiative’s 2011 State of the Birds Report is an excellent resource that details the tremendous responsibility and opportunities that public lands and waters have for further protecting North America’s wildlife and habitats. For example, public lands support more than half of the distribution of birds found in arctic and alpine tundra habitats, as well as on aridlands, which includes sagebrush, deserts, chaparral, and other habitats that experience low precipitation with a highly variable climate. More than 75% of aridland species are in decline, with 39% of conservation concern. Recent conservation efforts for species like the Greater Sage-Grouse have resulted in an unprecedented level of improved planning and conservation actions across sagebrush habitat managed by the Bureau of Land Management, U.S. Forest Service, states, and the National Park Service. The Sage Sparrow and Le Conte’s Thrasher also have more than 75% of their distribution on public aridlands. 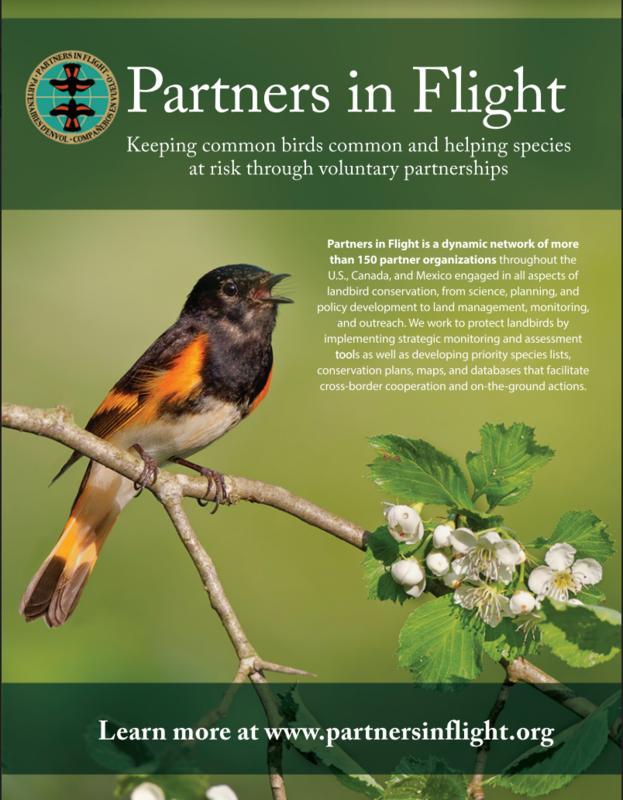 Partners in Flight works closely with public land agencies to promote the use of best available science to inform conservation planning and delivery. Our multi-species, science-based approach serves as a catalyst for improving ecosystem management on public lands. The 2016 Partners in Flight Landbird Conservation Plan details specific actions that public land managers can take to improve the conservation and sustainability of our native landbirds. More than half of all resident game bird species rely on public lands in the United States and Canada. Public lands in Hawaii support 73% of the distribution of declining forest birds and the entire world population of several endangered species. The USDA Forest Service supports at least 50% of the distribution of numerous western forest species. The Department of Defense manages more endangered and imperiled species per acre on its 30 million acres than any other federal agency in the U.S. The Partners in Flight Western Working Group actively engages with public land managers to improve habitat management for landbirds. Participate in the planning process of federal land management agencies to ensure landbird conservation is addressed. The Bureau of Land Management maintains a list of plans in development or contact a National Forest or Grassland near you to find out about their land management plan.